Book Signing in Paris on Saturday! 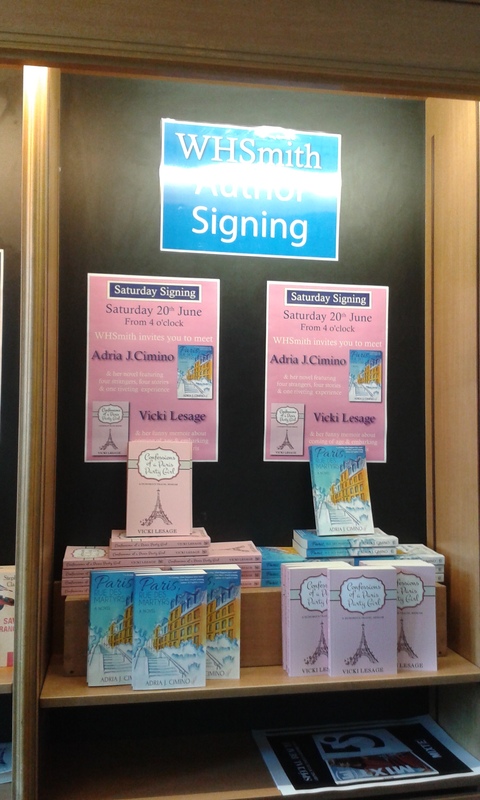 Adria Cimino (PARIS RUE DES MARTYRS) and Vicki Lesage (CONFESSIONS OF A PARIS PARTY GIRL) will be signing their books at WH Smith, rue de Rivoli, Paris, on Saturday, 20 June, at 4.00 pm. Next Post Anne Perry will be in Saint Maur this weekend!